The fall season has arrived and along with it comes a celebration of the autumn growing season. It’s time to warm up to a new medley of cool choices. Fall fruits and vegetables are now being harvested and they contain a wide variety of vitamins, minerals, phytochemicals and interesting attributes. The harvest from local waters changes too and at Salty’s you will find warm inspirations for cold water oysters and clams. When we change our eating with the autumn season, we take advantage of a vast nutritious bounty. This change in ingredients creates an anticipation and excitement about food, which our minds and bodies so appreciate. These hardy cold tolerant foods make for hardy cold tolerant people! From the ancient Chinese culture comes the belief that there are warming foods and cooling foods. With respect to the seasons, the idea is that the earth yields primarily cooling foods in the warm summer weather and warming foods during the cool winter weather. (Cool as a cucumber comes to mind here.) This is a testament to the brilliance of nature as it provides our bodies with exactly what we need to stay in balance. This is part of the yin/yang theory that we always hear about. 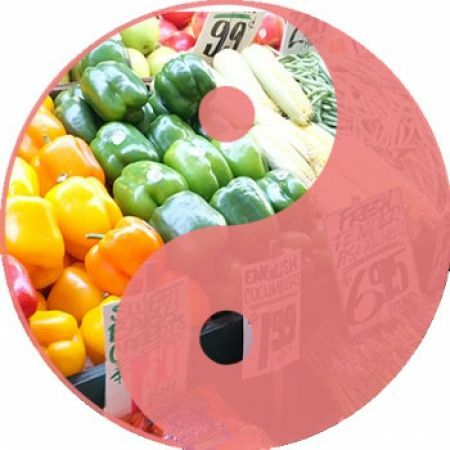 In this case yin is representing the cooling foods, and yang represents the warming foods. (There are also the neutral foods that don’t lean either way.) Work with me here. When I say lemon, watermelon and asparagus what do you think of, summer right? Well, what do you know those are all cooling foods. Warming foods actually thermally produce heat and warm our bodies during the cool months. So what do you feel when you think about mustard greens, parsnip, peppers, pumpkin, squash, chilies, rosemary and cinnamon? Can you feel the heat? There is an ancient rhythm to our seasons and it is a good and natural thing when we keep our bodies in sync with them. When we want to ward off the chill we think of soups, chowders, stews, paella and roasted foods — comfort foods that inspire warm and cozy memories. These are the passive fall foods that are soft and warm, versus the active summer foods that are crisp and cool. It all goes with the season and when we wait for it, it inspires anticipation. Eating food at its prime means the texture is right, the flavors are robust and delicious and the nutrients are at their peak. Who wants to eat a mealy tomato in the winter or a mealy apple in the summer? Although we have unlimited cool food choices, it is still wise to embrace the yang of the season.